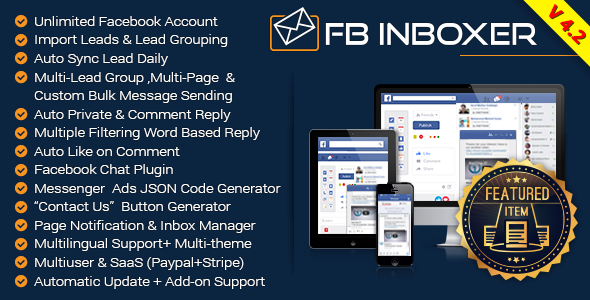 Facebook Inboxer is a revolutionary, worldâ€™s very first,most powerful and complete facebook messenger marketing software. This application can send bulk message to your pagesâ€™ messenger leads. And it is combined of suit of tools for generating messenger leads.